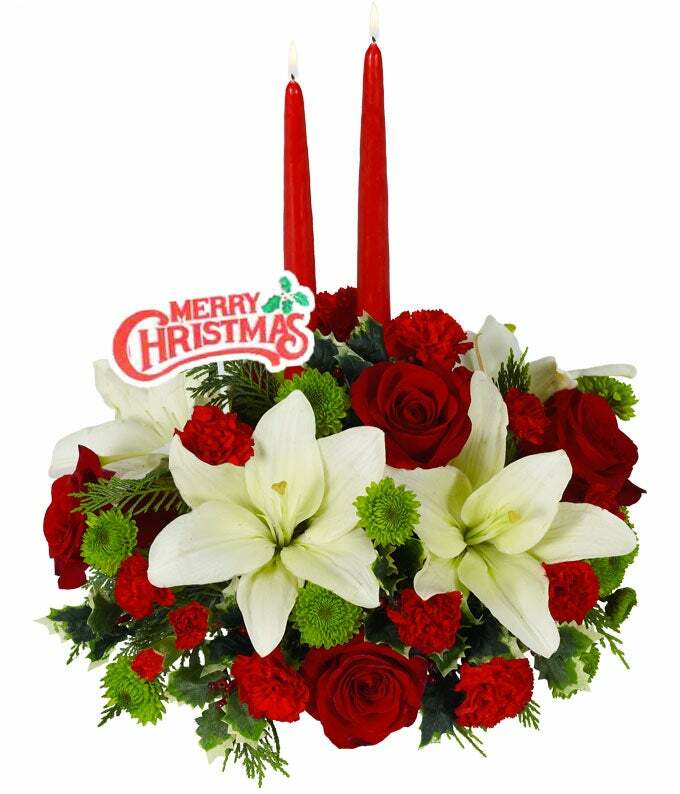 As friends and family gather around the Christmas table, they're sure to be delighted by this wonderful centerpiece featuring white Asiatic lilies, red roses, red mini carnations and green button poms. A pair of 12-inch red taper candles accented by a "Merry Christmas" pick accent adds to the celebratory mood. Measures 11"H by 8"L.